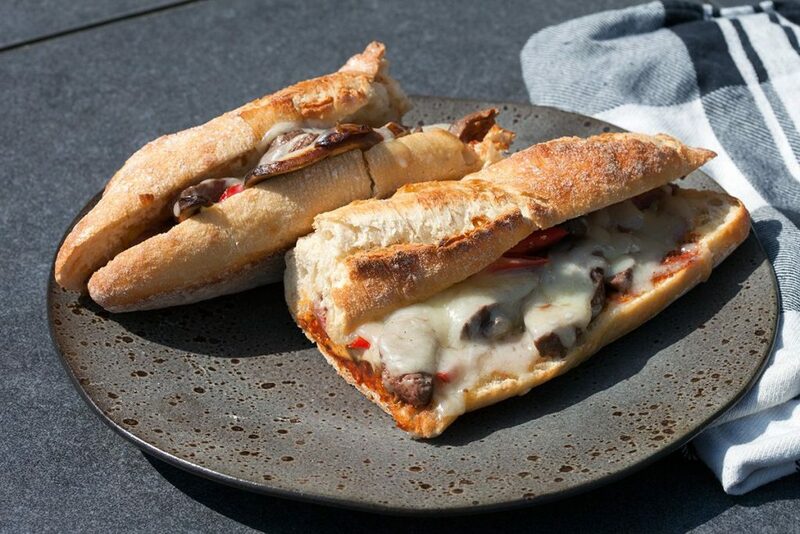 Long strips of grilled steak, cheese and soft vegetables on a long piece of bread with barbecue sauce. What’s not to like? Ready in 25 minutes.